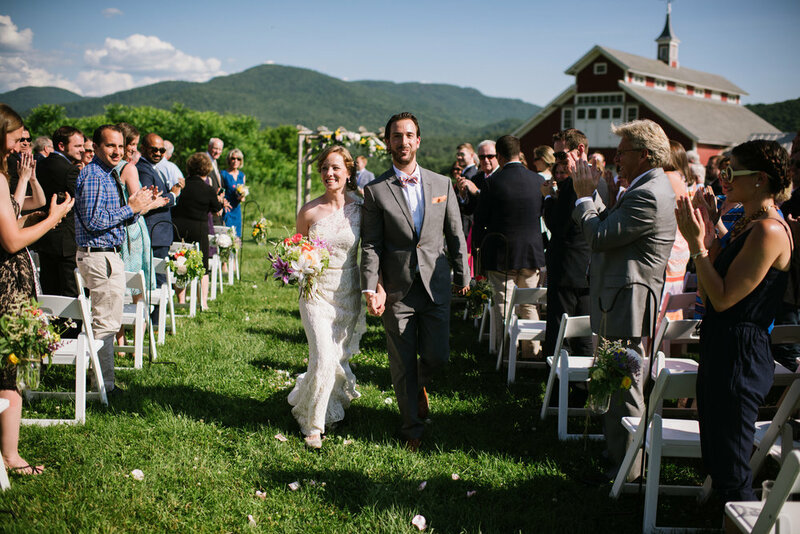 Christie and Matt wanted a natural and fun feel to their wedding day at The West Monitor Barn in Richmond Vermont. We used my collection of vintage vases and created a bright palette of coral, light purple, yellow and creme wildflowers. The effect ended up feeling very cheerful and vintage. Locally grown icelandic poppies, ladies mantle, vibirnum, clematis vine, and peonies were featured.